William Larue Weller is the only wheated bourbon in the Buffalo Trace Antique Collection. That means it uses wheat instead of rye as the secondary grain. This year’s release is aged 12 years and 3 months, and is bottled at 134.6 proof. 105 barrels were picked for this release – that’s more than last year. Unfortunately, 72.3% of the original whiskey was lost to evaporation. Notice it’s not as much as the 84% evaporation of this year’s George Stagg release, which is substantial. The nose here is sweet, with creamy caramel, molasses, kettle corn and vanilla. A corn note carries over onto the palate, but it comes across as roasted corn. There’s also a bit of toffee and oak, some vanilla and a slight herbal note. WLW is full-bodied, even with a touch of water added. Its finish is long and semi-sweet. 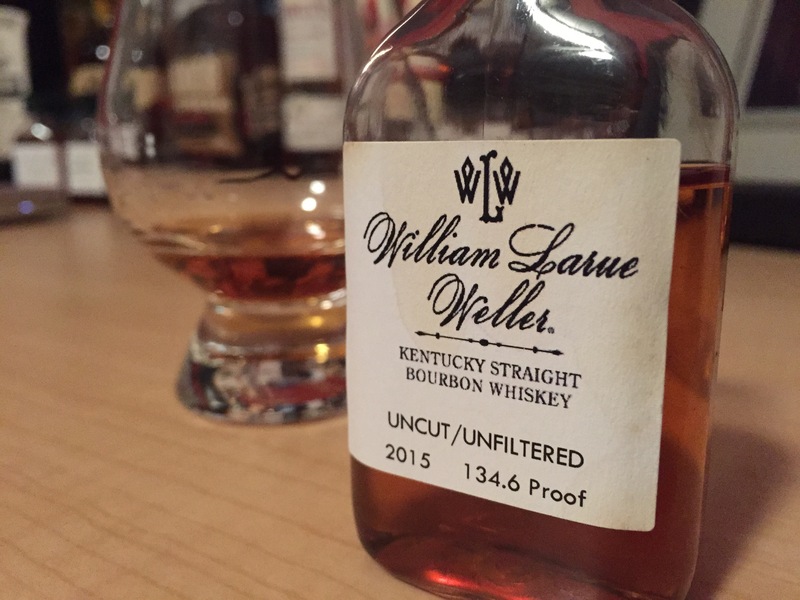 I thought the 2014 William Larue Weller was amazing. This year’s edition is delicious, no doubt, but doesn’t quite reach the heights of last year’s WLW. It’s all for naught, as folks will sell their first born for a bottle of this stuff. Nevertheless, I’ll definitely pick one up if I run across it, so long as it’s close to the SRP of $80.